The Club has developed a new publication for the owners of yachts, developed in response to claims and addressing concerns raised by Members. The publication includes a number of case studies and bulletins on fire safety, manning levels and safe means of embarkation and disembarkation, with the aim of helping operators to learn from the experiences of others. The Club has supported the yacht market for over 25 years with a dedicated Yachtowners’ syndicate that is proud to insure the liability risks of a significant section of the luxury yacht market worldwide. 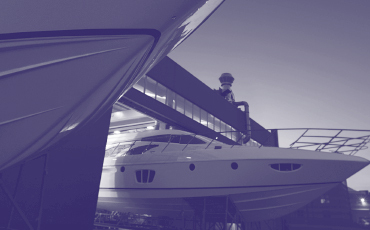 We understand that yacht owners face a particular set of risks, specific to their operations. With this in mind, the Club offers the value-added service of the Loss Prevention team, who support Members’ in mitigating against such risks. The Loss Prevention team have a wealth of seafaring experience, with an understanding of on board operations from a variety of vessel types. The information and advice provided has been developed from the knowledge acquired on board, and is tailored to address Members’ concerns. If you would like further information about the Loss Prevention service, please contact the team.